I have never been a big one for thrifting clothes. However, yesterday I was at Dakota Boys and Girls Thrift Store, one of the clean thrift stores in my area. As usual lately, there just wasn’t anything interesting for vintage items. My youngest son has started basketball practice and sometimes it is only an hour long. I run errands during that time. So the last stop was at this thrift store. When I saw there wasn’t anything vintage of interest, I realized I had about 7 minutes before I had to go pick up my son. What to do? So I decided to look through the clothes. 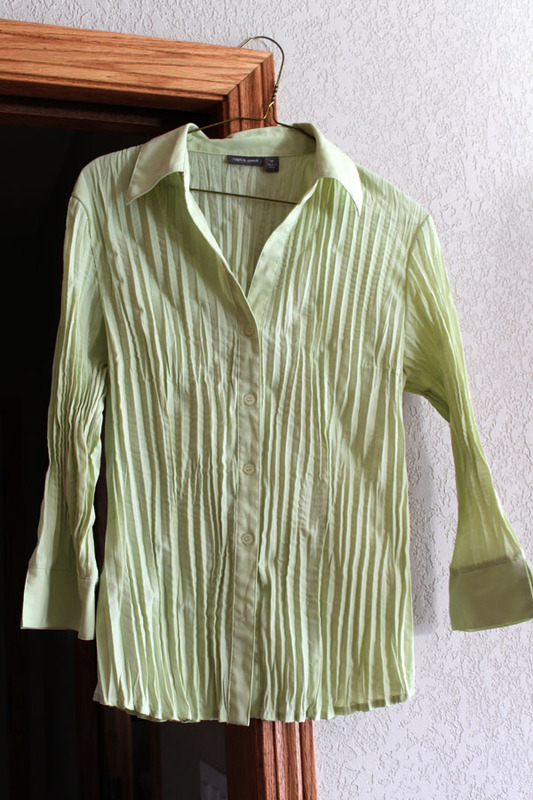 I found this gorgeous green blouse from Apt. 9. It looked like it was never worn. I found this blouse from Christopher and Banks. 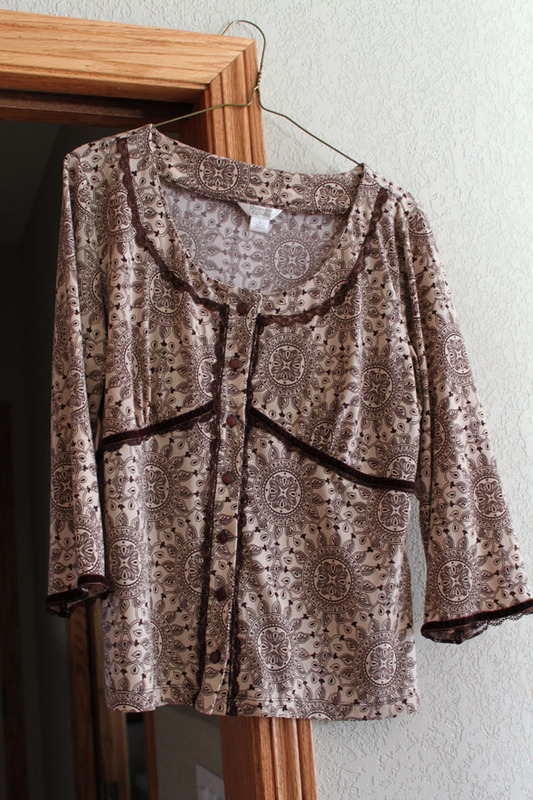 Not a typical blouse I would buy, but it fits, and I think I will really like it. 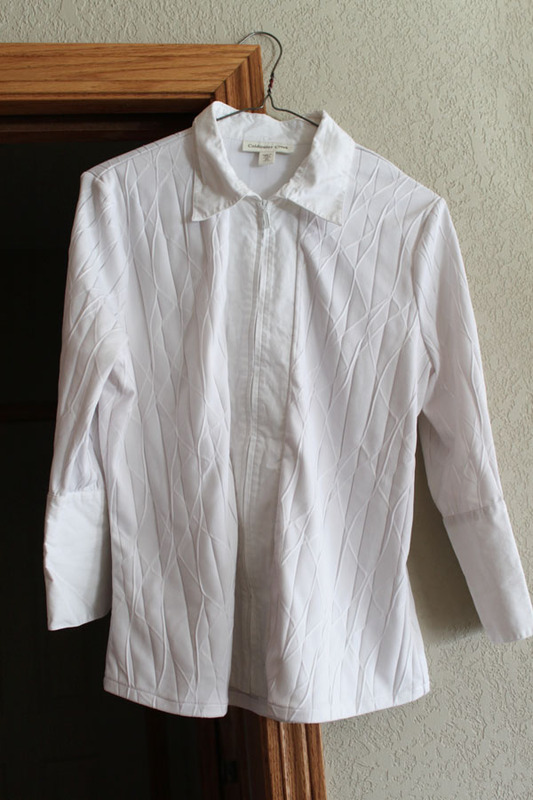 Last I found this white Coldwater Creek Polyester/Spandex jacket. Again it looked brand new. I decided at $3 a piece I would try them. They all fit, and I now have three new spring pieces to wear. So do you thrift clothes?